This is the last part of a huge distro update that we have been working with during the past weeks. 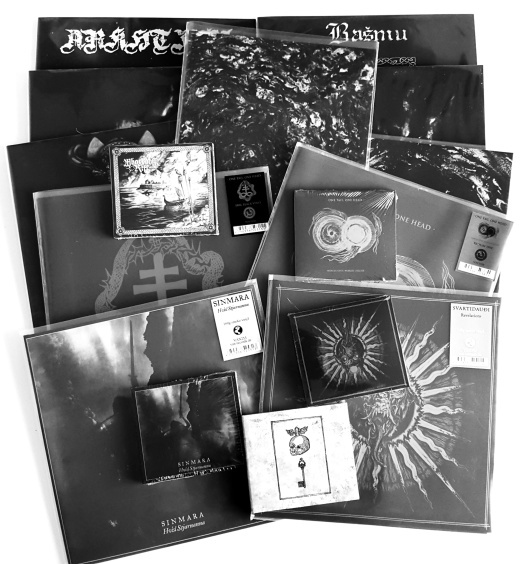 Limited stock of releases coming from Amor Fati Productions, Terratur Possessions and Ván Records. SATANIC RESISTANCE: 8.5 OUT OF 10 POINTS! DIE KUNST DER FINSTERNIS AVAILABLE FOR ORDER NOW! Lamech Records to Black Christmass Market! KAOSOPHIA - Serpenti Vortex. OUT April 22nd. KAOSOPHIA- Serpenti Vortex - first single unveiled! Sapientia + The Chaos Order + Portae Obscuritas OUT NOW! Hetroertzen & LvxCaelis in the US.! Hetroertzen & LvxCaelis mini tour in the US! HETROERTZEN - First exclusive U.S. appearance! Ain Soph Aur - OUT NOW! OUT on the 27th of October! Two new releases on the way! LVXCÆLIS exclusive dates in Europe!